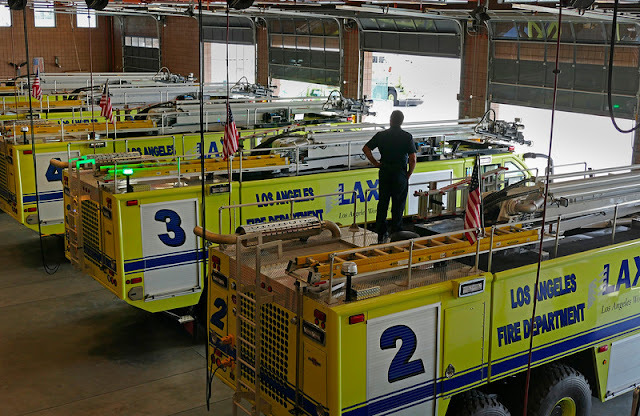 Los Angeles Fire Department officials showcased six new Aircraft Rescue Firefighting vehicles on Tuesday that recently have been placed into service at Los Angeles International Airport. The vehicles will respond to “all manner of aircraft emergencies and incidents on the airfield,’’ according to fire department officials. They replace four aging fire trucks, which will be re-deployed to Van Nuys and Ontario airports.